A riot of fun and laughter! 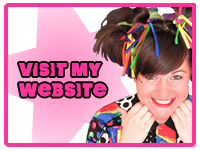 Barmy Bella Children’s Entertainer and Magician based in Derbyshire. My life in Entertainment part 1. So this is my first “proper” blog entry. I thought i’d start by giving you some background on my career so far. I found a few old photo’s the other day and thought it might be fun to take a trip down memory lane and remind myself of all the great places i have worked over the years. 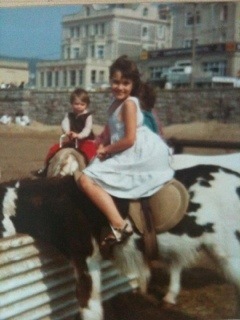 So really i should start by explaining that from a very early age i was a real live wire and a show off. I was one of those kids that adults would constantly tell to “sit down” and i remember that my nan always called me fidget! Dancing was my life and i would come straight home from school everyday, run straight up to my room and put my little tape player on and make up dance routines to whatever my favorite chart song was at the time. I grew up with a hard working single mom so there was no money to send me to stage school or dancing school but that didn’t stand in my way, i just picked up everything i knew from watching “Fame” on the tele and spending hours on Saturday and Sundays watching the old MGM musicals with Judy Garland and Mickey Rooney. 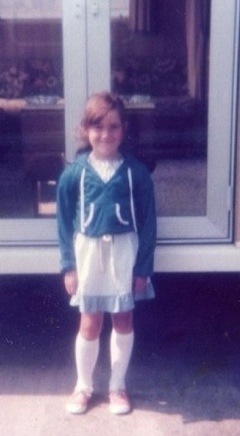 When i got a bit older i started to audition for stage shows at the theatres in Birmingham and really enjoyed working, singing and dancing with loads of other kids. I appeared in the Birmingham Youth Show twice at the Rep and had a fantastic time in a show at the Hippodrome called The Snow Queen when i was 12 years old. I even sang Do Re Mi with Danny La Rue once and was given a box of cadbury roses for my efforts! When i left school it was a waiting game for 2 years because i had already decided i wanted to work on holiday parks and i couldn’t do that till i was 18, so there started 2 years of trying every YTS you could name. I had a go at hairdressing, office work, shop work, gym trainer, packing components for Rover, you name it i did it! It was such a relief when shortly after my 18th birthday i saw an advert in the Evening Mail for auditions to work at Haven Holidays. I thought finally, i might get to perform every night, meet lots of people and have a great time somewhere nice by the sea. So i passed the audition and my first park was Bideford Bay in Devon. It was fantastic, i got to take part in shows, do a bit of DJ ing, i was put in charge of all the kids activities after a couple of weeks. I worked really hard, asked lots of questions and was promised that the following year if i stayed with the company i could be put up to Asst Ents Manager. That first year was the best year of my life and even though i ended up with Haven for 3 years they do say that your first season is always the best. My first day with Butlins came as quite a shock! After the friendly family relaxed atmosphere at Haven it was very disconcerting to find myself with a company that was so strict and run in such a regimented fashion that you were constantly on egg shells wondering if you were good enough and up to the job, then again i had been warned about this and took it as a challenge. Being a redcoat is and was a bit of a privilege, at least it was in those days. We got to mix with minor celebs on an almost daily basis and i found it thrilling to be in such a hectic and exciting environment, having to dash between one duty and another. It was really hard work but i learned so much about every aspect of entertainment – sound and lights, reading an audience, organising game shows and competitions, performance technique and stage craft, it was like a degree course for the entertainment industry, i was 21 years old and i loved every minute of it. At last, i’m joining the blogging community!